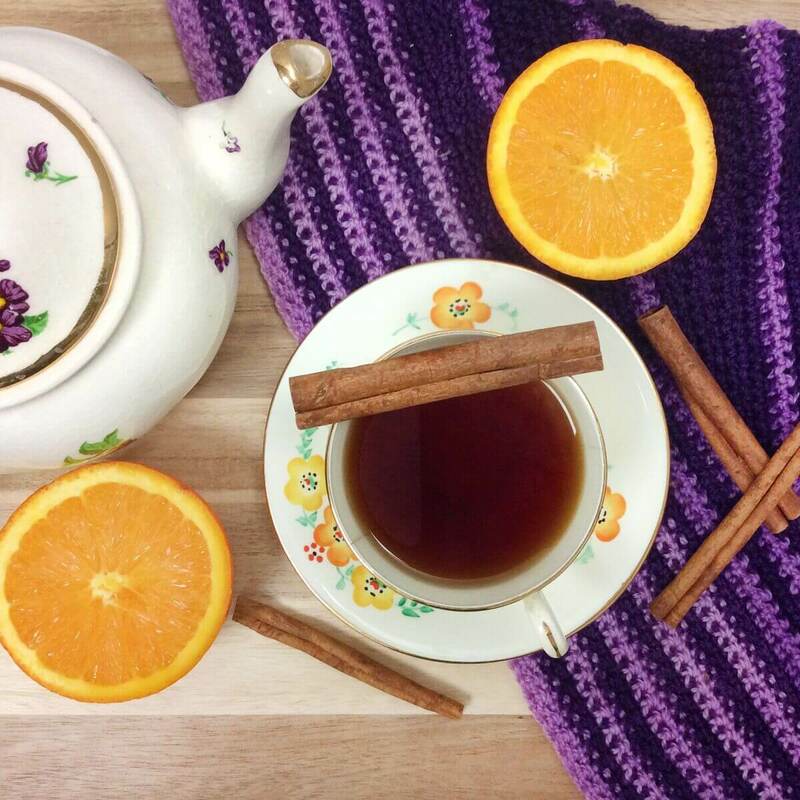 Everybody loves a good cup of orange spice tea — and here at Plum Deluxe, we have our own simple recipe that we make whenever the moment calls for a classic hot or iced tea. We start with a fresh decaffeinated Ceylon black tea that has a wonderful vanilla aroma to it, and add dried orange peel, the best cinnamon chips we can find, and just a pinch of clove and ginger. With a little extra orange extract for added citrus, it’s got a gentle balance that will leave you feeling tranquil and revitalized. Enjoy this tea with a bit of honey and a snuggly blanket. Great iced in the summer, too! 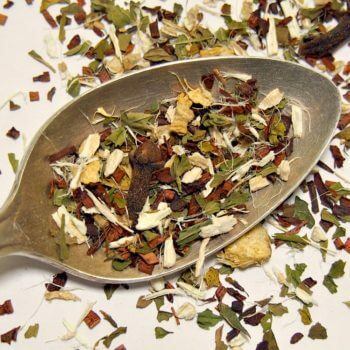 This blend is also available with regular black tea instead of decaffeinated. I LOVE this tea, and it's my new favorite! Call me crazy, but it reminds me of eating a slice of rhubarb pie! So good!! This tea is like constant comment with better quality ingredients. 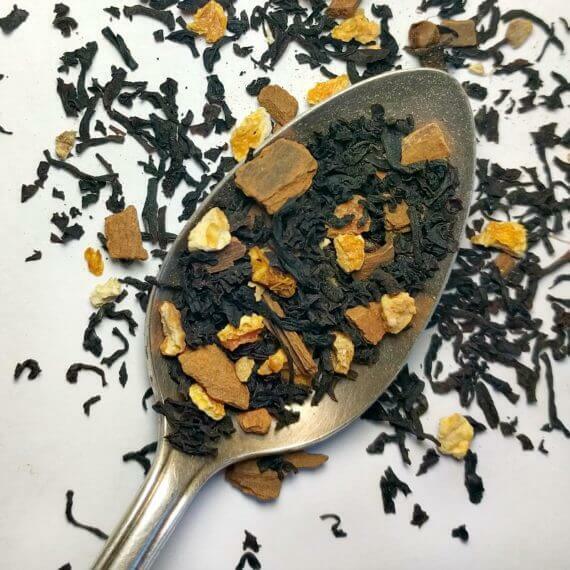 The black tea does not have that artificial taste that some decaf teas can have. Very nice winter blend. I love this decaf blend. I got it as a sample in my first box and had to order the full size immediately. I find the cinnamon flavor to be distinctive but not so distinctive that it's overwhelming. It is definitely a nee favorite! Reminds me of a tea I always had with my grandma...Love it!!! 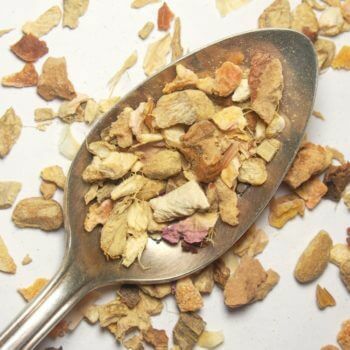 Ingredients: Decaf Black Tea, Cinnamon Chips, Orange Peel, Ginger, Clove, Orange Extract, Love, Gratitude. Has Caffeine. Suggested Uses: Steeps up a wonderful cup by itself, and great iced - adding some spiced honey will accent both the orange and the spice.